What can be imagined can be achieved. : Shocked. Stunned. Amazed. The fact that I didn't even get the chance to blog about this portion of my latest fundraiser, speaks to the level of success that it has had. 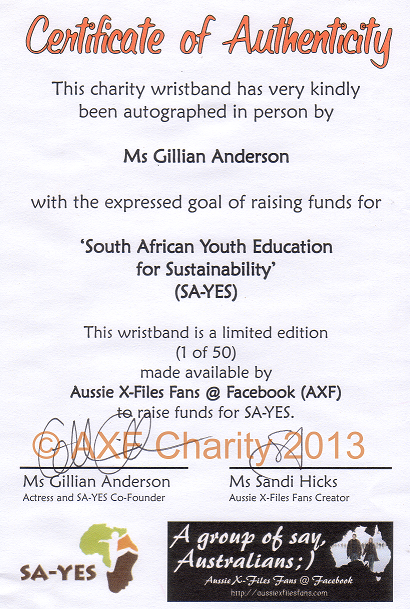 In December I bought 200 wristbands for my favourite charity, SA-YES (South African Youth Education for Sustainability). 150 wristbands were sold to fans in all corners of the globe, at a low price of $5.00 a wristband. 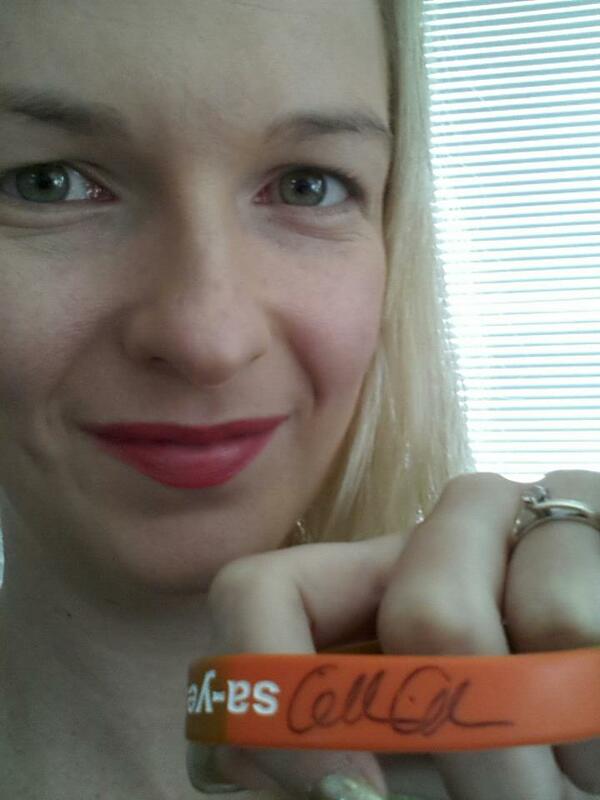 Less than 48 hours ago I received 50 wristbands back, signed by the delightful Ms Gillian Anderson. 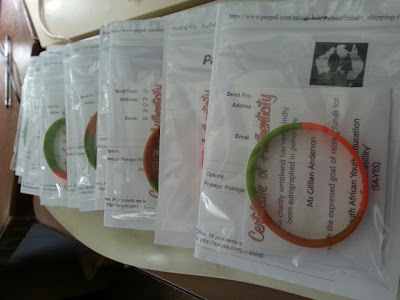 Selling them for a set price of $30.00 each (with a certificate of authenticity), these wristbands sold-out in approximately 39 hours, with fans desperately trying to get their hands on them even after the website ceased selling them. Thank you SO much to everyone who has made this such a successful charity endeavour (especially Julie from SA-YES). I am truly grateful for all the support. Gillian's Autograph on one of the fifty wristbands. Selling progress - so many orders to fill all at once!